“Novel system achieves significant reductions in energy consumed for heating and cooling electric car interiors. 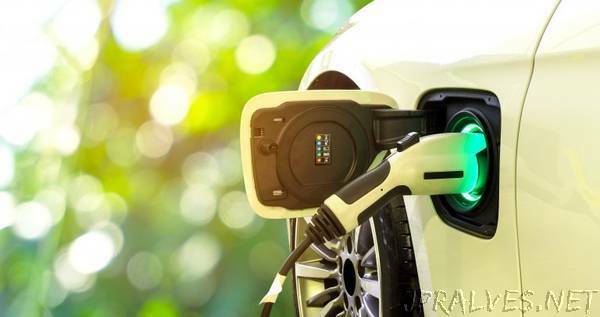 Technological developments and the increased focus on alternative sources of energy have led to a renewed interest in electric vehicles (EVs). In 2017, almost 1.3 million EVs were sold around the world, representing a 57 % increase compared to the previous year’s sales. As this upward trend shows no signs of changing, dealing with certain inefficiencies of EVs is becoming a priority. With this in mind, the EU-funded project JOSPEL has focused on reducing the energy consumed in EVs for passenger comfort. Current heating, ventilation and air conditioning technologies reduce the potential driving range of EVs by up to 25 %. This is because EV motors and batteries don’t generate heat in the same way as the internal combustion engines of ordinary cars do. JOSPEL’s aim has been to develop a novel, energy-efficient air conditioning system that will make more effective use of interior temperature control management in EVs. To achieve this, it has developed innovative technologies based on two scientific theories: the Joule and the Peltier effects. The Joule effect’s principles have been applied to the project to achieve more energy-efficient heating. Also referred to as Joule’s law, the effect describes the rate at which an electrical current is converted into heat energy when it passes through a circuit. The Joule effect’s radiant heating achieves the same feeling of warmth in a car interior as a conventional interior heating application would achieve at 3 °C higher. The importance of even a single degree becomes apparent when we realise that a 1 °C drop in temperature represents 6 % savings in energy. The project’s cooling system, on the other hand, was based on Peltier cells technology. According to the Peltier effect, when an electric current flows through a circuit made from two different metals, one junction heats up and the other is cooled. Cooling systems that use Peltier cells ensure greater fuel economy and fewer greenhouse gas emissions than their standard counterparts. They’re also lighter, more efficient and cost less than heat pump inverters. The two phenomena have been harnessed to great effect. The project team has achieved a number of significant advances when it comes to reduced energy consumption. Based on the Joule effect, its heating system consumes 30 % less energy. Similarly, the cooling system’s Peltier cell technology has attained an energy reduction of 25 %. A 12 % drop has also been achieved in battery consumption due to optimised thermal management. Additionally, improvements in the thermal management of other EV components and eco-driving technologies and the cabin’s reduced weight and improved insulation have led to a further 12 % energy drop in each of these areas.